"Thank you for all your hard work and preparation. I think I speak for both of us when I say that your positive energy really helped to make the day special for us! We appreciate all you did to help guide us through such an important day." "Thank you so much for creating the perfect ceremony for us! We got compliments on it all night and and it was so personal to us and our love. You were amazing and we can't say enough good things about you and our experience working with you." "Thank you for playing such a big role on our wedding day. We felt so comfortable working with you during the entire process. You are such a kind and caring person- looking back on our ceremony we wouldn't have wanted anyone else to officiate our wedding!" — Lauren and Jake S.
"Thank you so much for being a part of such a special day in our lives. We really enjoyed working with you! You have a calming, comforting way about you that was so helpful during what could have been a very stressful time. You made the planning so easy and fun, and we will always look back on this time with fond memories." — Melissa and Brad B. "You were so amazing to work with! You far exceeded all of my expectations in a professional and spiritual demeanor and were eager to do anything that you could to make sure that we had a beautifully planned out ceremony. Being a bride, it is so appreciated having someone as available, organized and caring as you. Great job, Pat! We really can never thank you enough for all of your efforts and hard work!" "Thank you so much for going above and beyond working with us and for providing us with such an amazing ceremony! We could not have had a ceremony that more perfectly captured "us" and being able to work with you has just been wonderful! Thank you for helping us make our ceremony so special and so memorable." — Kate and Ryan F.
"You were absolutely amazing!! Afterwards, everyone could not stop raving about how fabulous you were and how personal and amazing the wedding was. I do not know if you noticed, but there was not a dry eye in the room. Thank you so much!" — Stephanie and Ross P.
"Thank you so much for officiating our wedding! You made everything so easy for us and we are so happy with our decision to hire you to officiate our ceremony. It has been truly lovely working with you!" — Sara and Kenny P.
"Thank you for being a part of our favorite day! You helped things run so smoothly and calmed our nerves about being the center of attention. Your experience and preparation was apparent and most importantly you put care into the ceremony. Thank you for helping to make it such a special day." "It is never easy to give one's daughter away at a wedding. But the wonderful service you had for Lindsey and Brian on July 12, was so uplifting that it helped me immensely. Thank you for all your efforts with Brian and Lindsey and the rehearsal and the actually wedding ceremony. You made it an extra special day." "Adam and I want to thank you so much for the wonderful job you did officiating our wedding. You made the whole process enjoyable and you were such a complete delight to work with. The ceremony reflected us so well, and was incredibly meaningful to us and our friends and family. A few of our family members are actually planning to find their own wedding bell like the one you gave us. Thank you again so much for helping us to make our ceremony so memorable and meaningful." "Thank you so much for your help with your suggestions, experience and calm demeanor before and on our wedding day. I am convinced that everything went so smoothly because of you. We can’t thank you enough; you were great and so fun to work with!" — Jen and Jordan A. "Thank you for all your help and advice planning and running our wedding. Also, thank you for your beautiful words during the ceremony. I was so moved after you spoke that I got goosebumps. It was overwhelming in the most wonderful way. I never expected to so thoroughly enjoy my wedding so much. After years of working with brides and watching them worry about the details, I had counseled myself to focus on the important part, joining our two lives. Perhaps that was perfect because I was totally unprepared for how amazing the wedding itself would be and so much of that is thanks to YOU." "We are so grateful to have found you! We couldn't have imagined a more beautiful and meaningful ceremony! It was a true reflection of our love and commitment to one another. Your kind and warm demeanor helped create the perfect atmosphere and put us at ease. We will forever be grateful for your help in making our big day so special." "I just wanted to say thank you for providing such a lovely service for Luke and Katie's wedding. Being of a Catholic background, I was very nervous about the length and depth of the service Luke and Katie chose. We were so pleasantly surprised and touched at the sincerity of the entire service and your heartfelt words were deeply felt by all in attendance. It was just a beautiful memory and my husband and I thank you so much! You were truly an inspiration." "Thank you for EVERYTHING you did for JR and I. We had an amazing day. We got so many compliments on how beautiful and loving the ceremony was. People said it was the best wedding they had ever been too....Thanks again.....you made our fairy tale wedding dream come true!!!" — Holly and JR D.
"Thank you so much for being our wedding officiant! It was a beautiful ceremony, and we could not have imagined anything better. It was perfect for us, and we want to thank you for all your helpful advice." — Danika and Adam F.
"I plan to send a more formal thank you, but wanted to let you know how much Isaac and I appreciate everything you did to make our wedding day on July 31- PERFECT! From the rehearsal, to set up, to assisting with guests, etc. we don’t know what we would have done without you. We owe you the world and will recommend you to anyone and everyone! It was a wonderful day. Thanks again for making our wedding a success. You are a true pleasure to work with." — Erin and Isaac B. "Thanks for all of your insight, kindness and sincerity. We couldn’t have imagined a better ceremony. Everything went so well, and we are entirely grateful to have had you with us. Contrary to what most people have told us would happen, the wedding is not just a blur in my memory. I actually remember each part vividly as if it was all in slow motion. I think that is mostly due to spending so much time with you working on creating the ceremony with Sarah and me. That was great advice you gave us to personalize the ceremony, and I would recommend it to any future couple." — Seth and Sarah M.
"Thank you so much for making our wedding day extraordinary! We are extremely lucky to have met you! We cannot thank you enough for going above and beyond to make everything smooth and special! We wish you all the best." — Sushil and Boryana D.
"Thank you for helping our day run so smoothly. You were so very helpful, kind, welcoming and super organized. The day was absolutely perfect, and we couldn't have done it without you." — Kate and Josh S.
"We are so incredibly thankful for the BEAUTIFUL words you provided for our ceremony! You did a fantastic job, and we feel incredibly blessed to have had you as our officiant. Thank you." — Alyssa and Jake V.
"Thank you so much for all your help with our wedding day. It couldn't have happened without you and your expertise. You are the BEST, and we really appreciated all your help and care." — Todd and Renee T.
"We wanted to thank you for all you've done in the past year bringing us Jarosinski's together! Our wedding was perfect and exactly what we hoped for. Your assistance was so helpful, and the service itself was beautiful! Thank as well for helping at the last minute with Dave and Megan's wedding." — Kelly and Jon J. "You did a phenomenal job officiating our wedding! You helped us create exactly what we wanted and made us feel so comfortable. Thank you for sharing in our big day and for making it so memorable." — Greg and Kelsey K.
"Thank you for making our wedding ceremony so personal and beautiful. We received so many compliments about it and some said it was the best ceremony they had ever been to. We feel very lucky to have had you as our officiant. You helped to make our day very special." "We don't know how to thank you for everything you did for us. The wedding was absolutely perfect, and it couldn't have turned out more wonderfully. You helped us create such a uniquely special ceremony, and we are so grateful. I know our large group wasn't always easy to rope in, so thank you for having patience with us." "Thank you so much for all your hard work and patience in making our wedding PERFECT! The day was beautiful, and we can't thank you enough for your part in making that happen." "Thank you so much for being a part of our special day. We truly appreciate your efforts to make our ceremony unique, memorable, and exceptionally beautiful. You will always be in our hearts, wherever our travels overseas takes us." — Danielle and Jeff H.
"I wanted to thank you for all your help with our wedding on July 25th. You made everything leading up to, and including the day, stress-free for Scott and me, my party and my guests- that’s quite an accomplishment! And through all of it, you smiled, which made everything seem all right even when I was feeling pressured. And even more, you helped me with the plans even when I lived out of state! I’m sure there is things that you took care of that I’m not even aware of, and I thank you for that as well! 1,000 thank you’s go to you and please know you made our day incredibly special!" — Nicole and Scott Z. "Mike and I can't thank you enough for everything you did for us to help make our wedding day amazing and unforgettable! Wedding officiating and planning is your calling!! You are so patient and organized, without you thing would not have gone so smoothly, and we are so grateful. Also, thank you for being so flexible with us being out of state. You are the BEST! Thank you, Thank you!!" — Jenna and Mike D.
"Thank you so much Pat for officiating our wedding ceremony! We really appreciate all the time, thought and effort you put into making our day so special. Everything was absolutely perfect under your guidance! Thank you!" — Jessica and Troy N.
"Thank you so much for being the officiant at our wedding! It was so easy to work with you and we really appreciated all of the organized packets of information you provided us. Thank you also for helping keep the ceremony on time. We couldn't have done it without you!" — Heather and Ryan B. "How can we thank you for all your help in pulling off our big day! We were real novices in wedding planning and can't imagine how we would have had such a perfect day without your coordination, creativity and attention to detail. Besides all your skills, your constant upbeat, calm demeanor (even though I know how hectic your week was), you kept everyone in good spirits. You made it so special, and you were a dream to have guided us through the wedding process." "It wouldn’t have been the most perfect day ever without Pat Werk. Pat made us feel as though there was no other person or day more important, and no matter how much of her time we needed, and we requested a lot, she was there for us unselfishly!! From the first contact to the last detail; Pat was a “godsend”!!! Without her expertise, thoughtfulness, assistance and time, whether it be to meet at the Church or answer countless emails from both my daughter and myself this special day would have fallen short! Pat took the stress out of the two most important days to my daughter and myself, and the rehearsal and wedding day couldn’t have been more perfect. Her professionalism on both of those days was phenomenal, and the wedding was the most perfect service one could have hoped for." Interested in more feedback from couples we have worked with? Check out our reviews on The Knot and WeddingWire. ​Contact Rev. 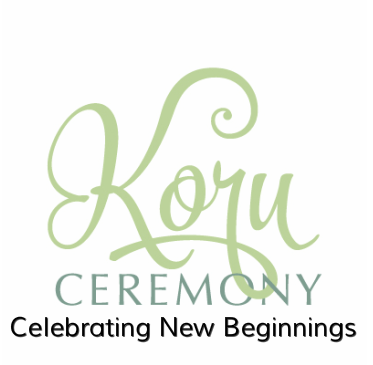 Pat at 608.213.7558 or koruceremony@gmail.com or fill out the contact form to check for our availability.